Well done to Bob Bevege winning the draw for first prize. 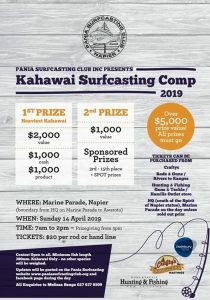 The club would like to thank all competitors and sponsors for their participation, even though we had to cancel the event for safety reasons dues to the extreme weather. All prizes reverted to a lucky draw system after the event was cancelled at 10am. No fish had been caught at that stage and it was decided to cancel because of safety reasons due to the huge swells and gale force winds. 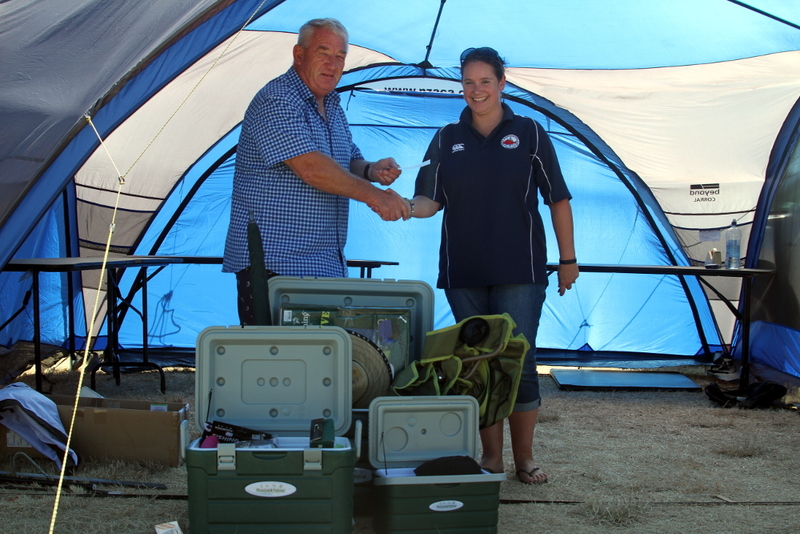 Bob Bevege is congratulated on winning the Ist prize draw of $2000 value by Melissa Benge of Rothbury Insurance Brokers. 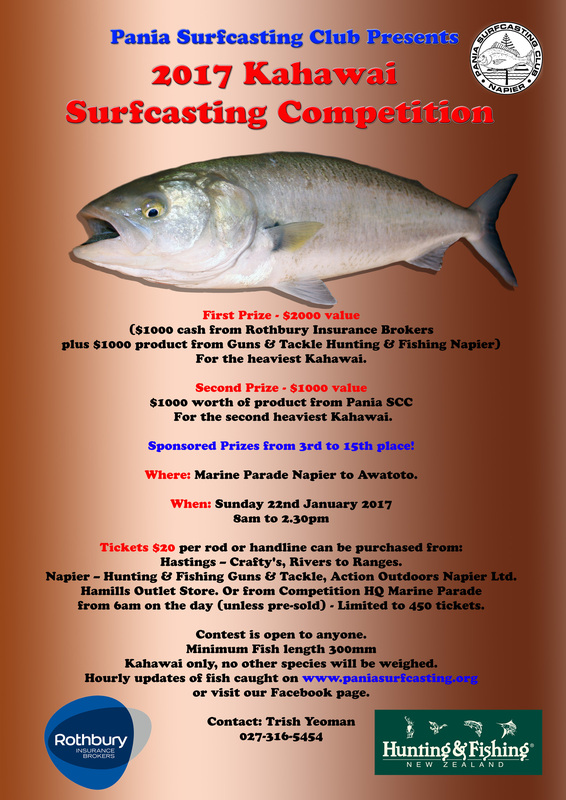 One thousand dollars cash and one thousand dollars of product from Hunting and Fishing Napier. Comp has been canceled due to health and safety (extreme weather) – all competitors need to turn up at comp HQ with your tickets at 3pm. 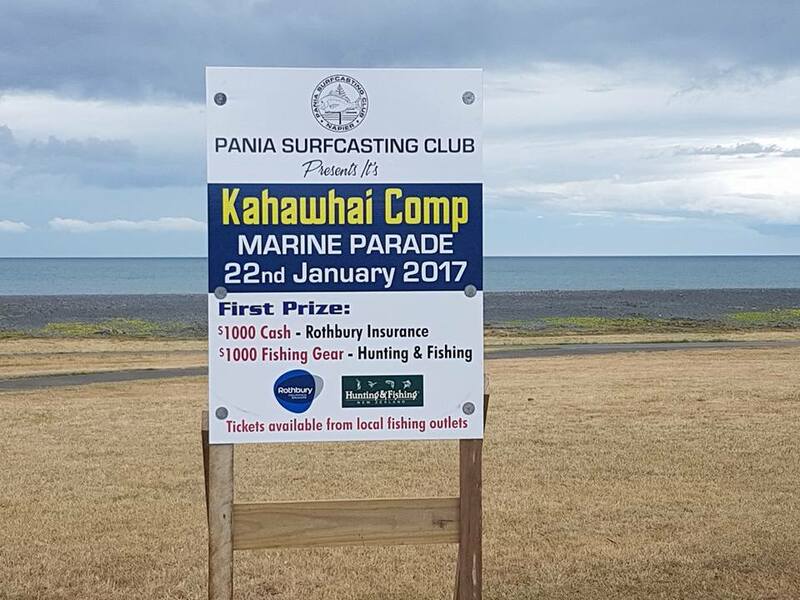 The 2017 Kahawai Competition is set for January 22nd 2017. Tickets are selling now, don’t leave it until the last minute or you may miss out.